After getting completely dominated in the third quarter and trailing by 16 points early in the fourth, Calvert Hall orchestrated a stunning rally, Thursday night, battling back to tie its Baltimore Catholic League basketball game with St. Maria Goretti and then blowing out the Gaels in overtime to claim an impressive 87-72 victory. Goretti appeared to have the contest in hand as it outscored the Cardinals 23-7 in the third quarter to take a 55-41 lead, but the Cards (4-1, 2-0) caught fire. Jordan Hall finished with 21 points and Justin Gorham netted 20. Brendan Adams added 17 and Austin Griffiths scored 16. Goretti’s Donte Doleman lead all scorers with 26 points, while Jake Kuhn scored 15 and Kevin Bell added 10. 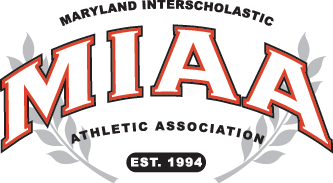 One other big factor in the contest was the fact that Calvert Hall converted 21-of-24 free throws, while Goretti hit just 13-of-23 attempts.